Losing a dog can be traumatic which is why microchipping is so vital. Today it is also essential as it is illegal not to have your pet electronically tagged. 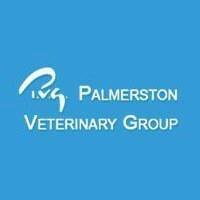 Here at Palmerston we often microchip your pet alongside its vaccinations, so the process is done early on and not forgotten. A microchip is a tiny electronic chip, no larger than a grain of rice, which is implanted harmlessly beneath a dog’s skin. Each microchip is programmed with a unique 15-digit number which will be revealed when scanned by a microchip reader.